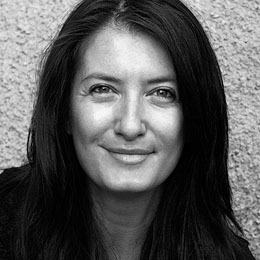 Amina Horozić is an award-winning industrial designer, design strategist and a creative consultant. She specializes in design for luxury for both small and large-scale international clients. Her work spans across the industry sectors from automotive to consumer electronics, furniture, gallery installations and retail environments. She frequently lectures on her design process at international design colleges and conferences and is the author of BREAKING IN®: Product Design. Prior to joining Nichetto Studio as a studio director in Stockholm, Horozić has worked at NIO, fuseproject, Aether Things, frog design and Chrysler. She studied industrial design at College for Creative Studies. She holds an MBA in design strategy from California College of the Arts and a Master of advanced studies in design for luxury and craftsmanship from ECAL/Ecole cantonale d'art de Lausanne.